Once, I visited a school where the kids put on a play of Tikki Tikki Tembo, in my honor. The kids were absolutely great, the teachers were quite lovely and the play was really well done. They had all worked hard on it and I was very grateful for the warm welcome the school gave me, yet deep down I felt a strange awkwardness that I couldn't put my finger on. So, when a friend of mine, recently sent me this blog post written by Irene Rideout, a lightbulb went on. When I read it, I suddenly thought, Oh that's why I felt weird! When I overheard my half-Chinese/half-Caucasian 6-year-old daughter singing the name a couple months ago, I had to ask her where she learned it. "In music class, at school," she replied. And to tell you the truth, I felt uneasy. My first encounter with Tikki Tikki Tembo occurred around middle school. A Chinese-American friend was talking about the way other kids chanted "Tikki Tikki Tembo" around her. I had never heard those words before, so I asked her, "What does that mean?" The quiet seriousness of her response struck me. She looked me in the eye and said, "It's racist." "Teachers who want to share other cultures may unintentionally choose books that are racist or not representative of a particular group... A book that is often recommended (see Huck, Hepler, & Hickman, 1987) is Tikki Tikki Tembo (Mosel, 1968)... The text and illustrations, however, are inaccurate depictions of any Chinese... The message about Chinese names is less than flattering." I do think the use of the word "unintentional" is important. I hold my daughter's school system in very high regard, and from the beginning, I had to assume that the teachers and administration - not a single person of color among them! - simply did not know about the racist perceptions of this popular tale. I mulled over the idea of calling up the school principal and just letting him know that the story isn't exactly culturally sensitive. But I admit, part of me thought, "Maybe another Asian parent will do it." It wasn't until I found out that the entire school would be acting out the story and performing the song "Tikki Tikki Tembo" at a school meeting that I finally realized, "No one else is going to speak up." So, in a phone call with the principal, I explained why the story is racist. The book purports to be an "old Chinese folktale," but it is not. It is actually thought to be based on a Japanese folktale called Jugemu. (http://en.wikipedia.org/wiki/Jugemu) Presumably, that tale was picked up and retold by Westerners, who mistakenly attributed it to China and added to the story. The result is a story that is neither Japanese nor Chinese, and it exemplifies the racist attitude of, "Chinese, Japanese, what's the difference, they're all the same." 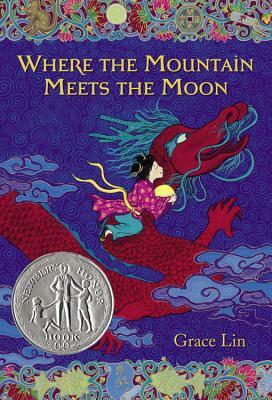 Though the book's illustrations are beautifully drawn by Caldecott Medal-winning artist Blair Lent, they do not authentically depict Chinese people, as noted by The Multiculturalist above. Tikki Tikki Tembo's shoes are actually strikingly similar to traditional Japanese geta footwear, again reinforcing the inaccurate perception that all Asian cultures are the same. Tikki Tikki Tembo's full name does not include any actual Chinese words, and it perpetuates the stereotype that Chinese words and names sound like nonsensical syllables. (http://en.wikipedia.org/wiki/Tikki_Tikki_Tembo) If anyone doubts that this stereotype continues to persist in modern society, look no further than the 2011 racist rant by a UCLA student. Tikki Tikki Tembo's little brother does have a Chinese name, Chang, which, according to the book, means "little or nothing." The book was written in 1968, well before pinyin was standardized, but even if we generously consider all tones of "chang" and "zhang," none of the dozens of possible translations even come close to meaning "little" or "nothing." According to the story, Chinese people traditionally gave their first-born sons long and honorable names. This is not true. I tried to find a source to back up this point, but apparently there isn't really a good way to find evidence of what a culture is not. This Wikipedia article, at least, provides information on Chinese names, modern and historical, and makes no mention of first-born sons ever getting especially long names. When I read online forums and discussions about the potentially offensive nature of Tikki Tikki Tembo, I am disappointed because so frequently the responses are dismissive. People say, "Oh, lighten up, it's just a fun story for kids." There is, of course, a difference between INTENT and IMPACT. I feel pretty confident in surmising that the author and illustrator of Tikki Tikki Tembo did not set out to offend anyone. In fact, the INTENT may even have been to honor the Chinese culture by sharing a charming story of their understanding of China. But the IMPACT is that an entire culture is misrepresented, and it is not unreasonable that people within the misrepresented culture might feel offended. It's understandable that some people may have happy and fond childhood memories of this book, but their positive experiences with this book does not make other people's negative experiences any less valid. Another common argument in defense of Tikki Tikki Tembo is, "Children know the difference between truth and fiction. They know this is not a real story of actual Chinese culture." Perhaps some do, but what if the book is actually presented by a teacher or librarian as an authentic Chinese folktale describing Chinese culture? Weston Woods, a production arm ofScholastic, a children's book publisher that specifically creates educational materials for schools, provides a lesson plan for use with their Tikki Tikki Tembo video. Two explicit objectives of the lesson are to "learn about Chinese culture" and "enjoy a well-known Chinese folktale." (http://westonwoods.scholastic.com/products/westonwoods/study_guides/tikki_tikki_tembo.pdf) Of course, in reading this particular book - or watching a video based on the book - the class will do neither. In 1968, when cultural diversity wasn't yet the major issue it is today, any book that featured a foreign culture was probably welcomed, even if only for its novelty factor. 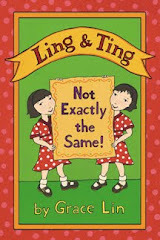 But now that it's 2012, and the children's sections of our libraries are filled with authentic books about other cultures, there is no longer any need to rely on inauthentic tales like Tikki Tikki Tembo as an example of Chinese culture. 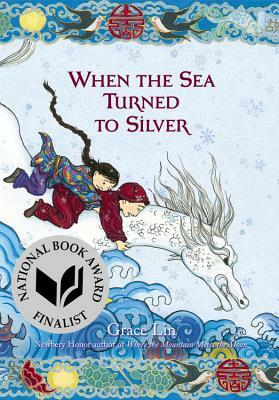 I am a big fan of Grace Lin, who writes children's books of all levels ranging from picture books to chapter books. Her books are set in America, but they feature a Chinese-American family and plenty of Chinese and Taiwanese culture. For a book set in "old China," I recommend Ruby's Wish by Shirin Yim, a book my daughter actually discovered herself in the school library. So what did my daughter's school principal say and do in response to my concerns? (My on-the-spot explanations were not quite as organized as my post here, but I think I got the ideas across!) I was so pleased and relieved to hear him say, "I had never thought about the book that way before, but now that you explain it to me, of course I understand." He repeatedly stressed his desire to be culturally sensitive, and he suggested a compromise for the school's upcoming performance of Tikki Tikki Tembo. (I knew the school had been practicing the show for months, and it was too late to do anything drastic like cancel the performance or choose a new story and song.) Rather than introduce it as "a Chinese folktale," they would simply call it "a story" and avoid any references to China or Chinese culture. I thought that was a great idea. Moving forward, seeing how popular Tikki Tikki Tembo is in schools and with parents, I think it's unrealistic to expect everyone to simply remove it from their bookshelves. My hope is that if people do continue to pass on the story of Tikki Tikki Tembo, they do it in a responsible way. One option is to use the story to bring back oral storytelling, and to leave out all references of China and Chinese culture. Without using the actual book at all, parents and teachers can tell the tale of Tikki Tikki Tembo, simply setting it in "a far away land." The younger brother can have a name that does not strongly evoke any particular foreign culture, and it can be comparable to the syllables in Tikki Tikki Tembo's name. Perhaps something like Pip. Another option is to use the book as a teaching opportunity. Parents and teachers can enjoy the book and its illustrations, but follow it up with a discussion about how not all books are true stories, and not all pictures are true representations of what they are trying to depict. Inaccuracies in the story and pictures can be explicitly pointed out, and the book can be followed by a reading of another book that does authentically portray Chinese culture. For another person's insights, I recommend this article. It gives what I think is a fair and balanced review of the book, and then it discusses the appropriateness of the book in today's diverse society. It goes even further by suggesting other books about names, and Asian names in particular, that can be used to supplement a reading of Tikki Tikki Tembo.